Want To Be An Endorser/Model? 1. Go to a Redhead branch on the stated schedule of the Redhead search tour (check the schedule here). Undergo the mini-makeover sponsored by Maybelline and then have your photo taken by the photographer stationed at the Redhead virtual catwalk booth. 2. If you’re not available on the stated dates, you can also join by uploading your photo online here. So what are you waiting for? 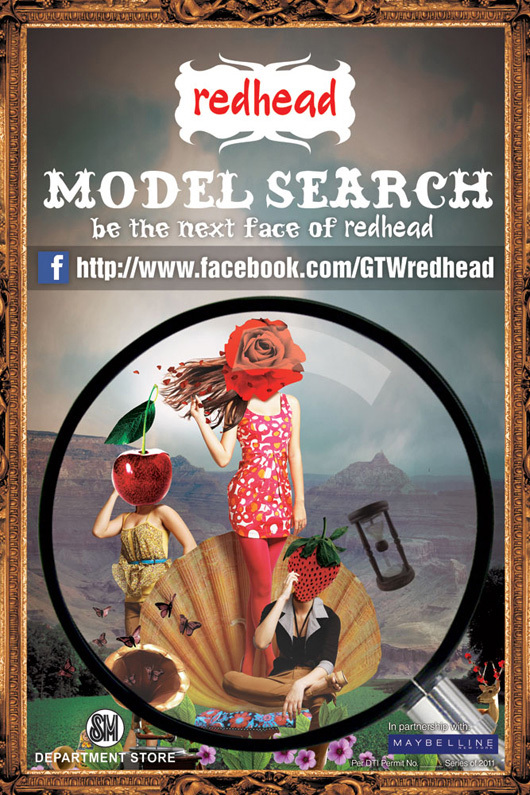 If you’re at least 5’1″ in height and between 15-25 years old, then join Redhead’s search for their next models now! Make sure to read the mechanics here too! P.S. I got myself a few clothes from Redhead too! I didn’t know Redhead has a lot of cute and trendy pieces. Watch out for them in my next outfit posts. I’m definitely going back for more!